There isn’t one model of success in the sheep sector. In fact, producers have taken many routes to growing their flocks. 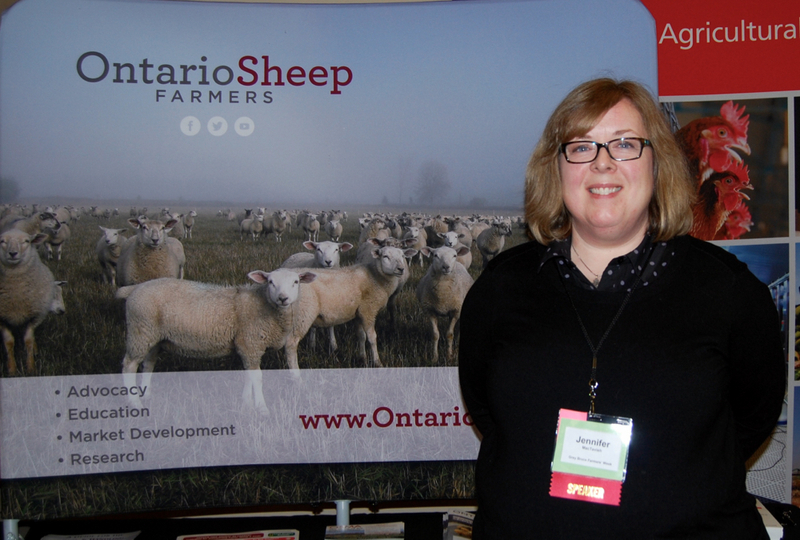 Farmers at the recent Sheep Farmers of Ontario annual convention heard from three successful producers who have taken different routes — one with minimal buildings and investment, one with a converted dairy barn providing indoor facilities for sheep, and a long-time farmer with a focus on efficiency. Why it matters: Farmers have several models to choose for expanding their flock. 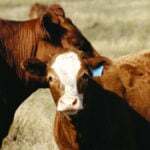 That decision will be fundamental to how they manage their farm. For Mike Swidersky, sheep are an added value to his larger cattle-grazing operation. 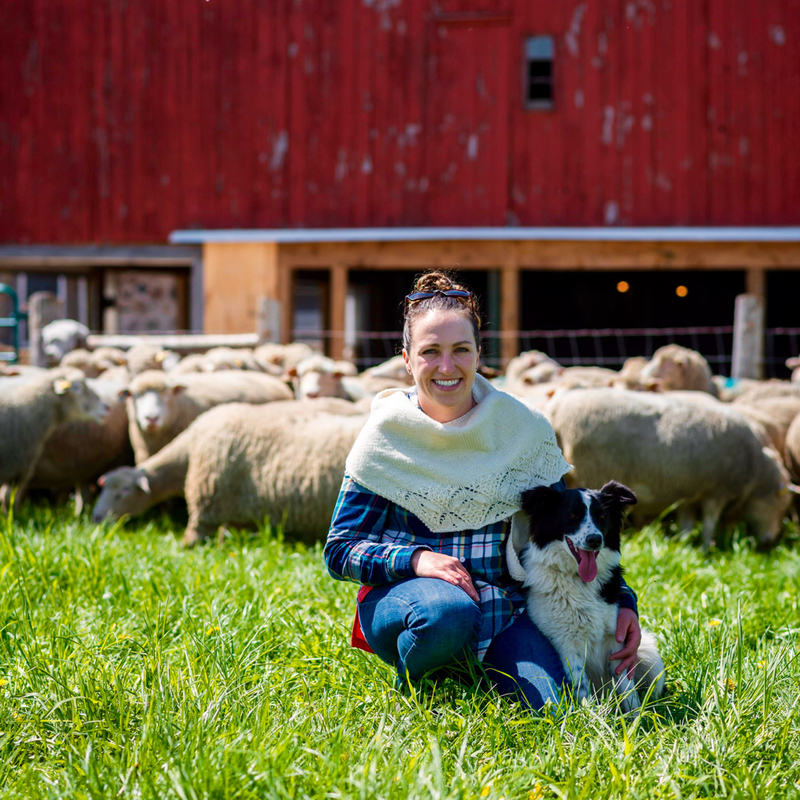 Swidersky added sheep in 2009, eight years after he and his wife, first-generation farmers, started farming in Melancthon Township in Dufferin County. He now has 250 ewes lambing each year for the flock, which only goes inside for shearing. He needs tough and hearty ewes and rams who can survive on the scraps left over by the cattle. The sheep are the cleanup crew — grazing roadsides and pasture already grazed by cattle in order to keep down weeds and make full use of the growth. They don’t assist with lambing and don’t tag, needle or record much information. They haven’t dewormed for several years, and Swidersky said it haven’t been a large issue, although they have culled some ewes due to worms. 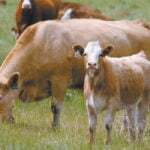 There is a theory that rotating species in the same pasture — such as cattle and sheep — can help reduce parasite pressure. “We expect ewes to lamb on grass by themselves without any help,” he said. Since they found the best date for lambing to start in their high-elevation and cold for Ontario climate, the ewes have done well. Lambing starts May 24 and finishes about June 14. Swidersky keeps his rams with his ewe lambs in order to make sure they can survive in the same conditions. Feed is introduced to market lambs while still on grass so they have a smooth transition to their feedlot. 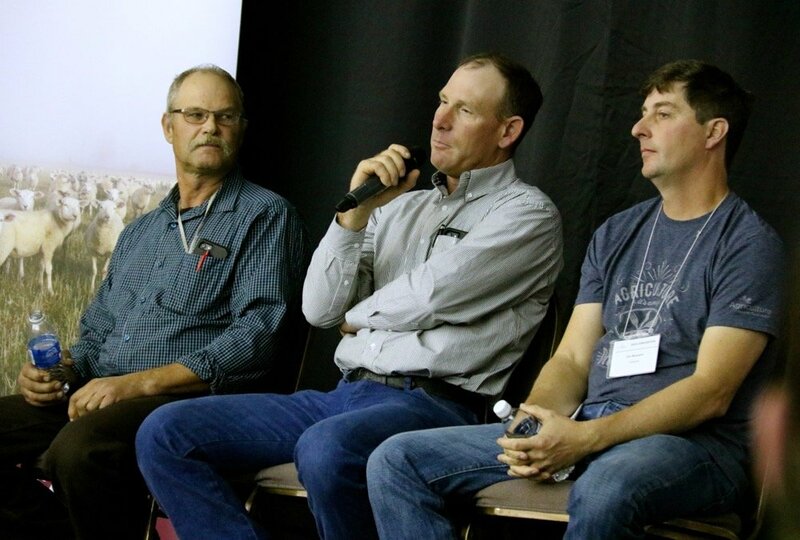 Swidersky said they get “exceptional compensatory growth in the feedlot.” That means that if the lambs have been slowed down by not getting grain earlier, that they will catch up that missed gain in the feedlot. 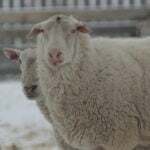 Jim Bennett’s sheep farm is the opposite of Swidersky’s with his sheep housed in a former free-stall dairy barn, fed a total mixed ration (TMR) and managed and marketed intensively. The Bennett family were dairy farmers in South Frontenac, but when it came time to manage generational transition, they decided to use the proceeds of dairy cattle and quota sale to manage that transition and ensure a future for all involved, including retirement packages for Jim’s father and uncle. They had doubled the milking cows on the dairy farm and that meant longer hours for Bennett. The dairy barn built in 1997 now houses sheep, right down to the area that once held the milking parlour. The bunk silos are covered by fabric roofs and house dry ewes. A former drive shed and hay storage building now houses rams. Bennett said they expected less management than has emerged with the sheep. They thought they would feed unrolled hay bales and that would be it for feeding. But they now feed a TMR mixture. “There’s better condition on the ewes. They just do better,” he said. They have also adopted more-intensive newborn protocols, including the use of an automatic milk feeder for extra lambs and ones that aren’t doing well. They also feed every newborn lamb colostrum with a syringe, which he calls insurance. “It’s a lot of work, it’s a pain, I don’t expect any of you to do it, but it’s what we do,” he said. 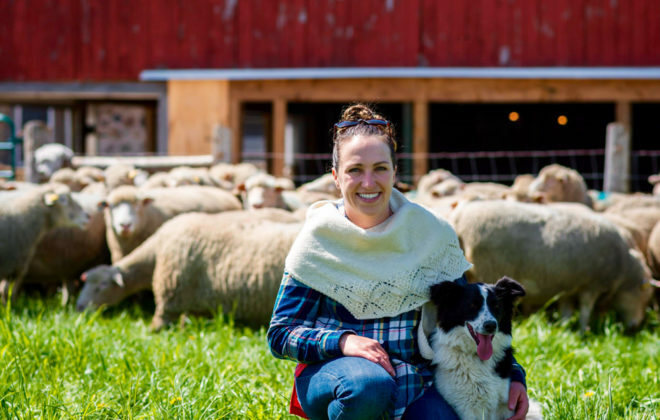 The Bennetts are now part of Trillium Lamb, a producer group that is co-marketing their lamb. The success of working together on marketing has Bennett wondering if there’s more that can be done to work with other producers on group buying. 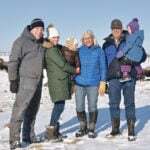 Vince Stutzki and his wife Heather have seen a lot in their 30 years of sheep farming, but he believes there’s lots yet to learn and do to make their farm more efficient. They lamb several times each year in order to meet market demands and have invested in facilities that made sense at that point in their farm’s evolution. 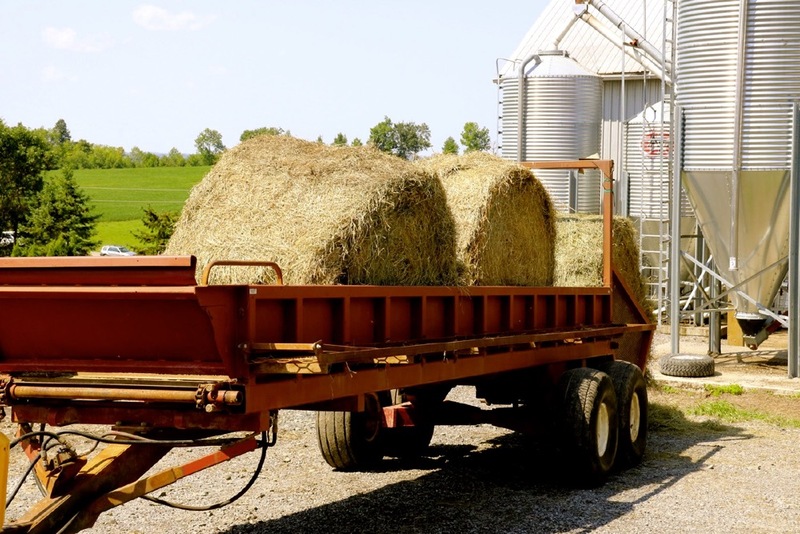 One of the most useful innovations was the building of a fenceline feeder with a roof where they can house 150 large bales of hay. Once piled, the sheep can eat from the bales as they want and the only labour is to cut the strings as they eat through the hay. They also built a barn in 2011. They did most of the construction themselves, down to the concrete forms for the foundation — and it cost them an efficient $20 per square foot. 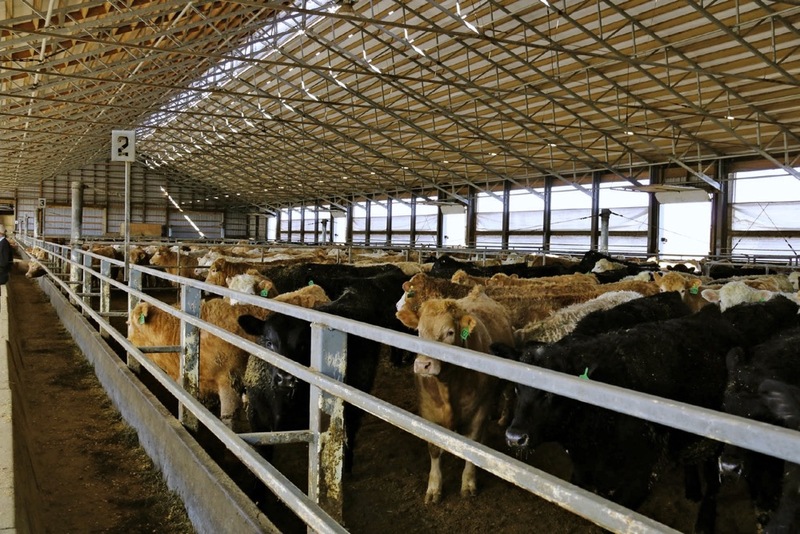 The barn can be used for lambing or for a feedlot with two pens down each side of a centre alleyway. The barn also has a “spa” with an automated milk feeder for orphans or poorly doing lambs. 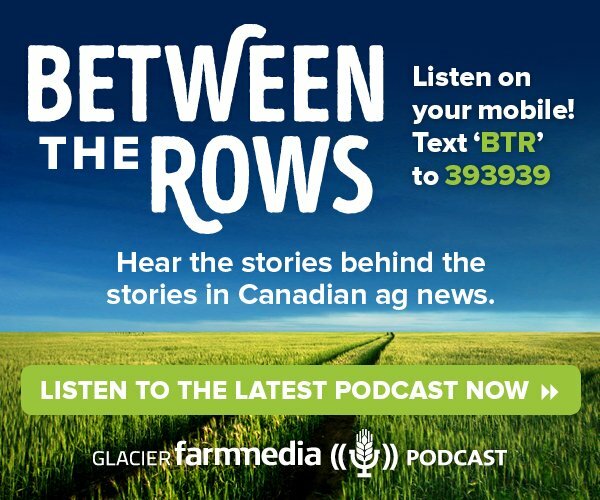 The Paisley area of Bruce County, where their farm is located, has been challenged by drought and with only 120 days of growing available each year, they need all those days to get a crop. That’s meant they find ways to ensure they get enough forage, including seeding fall rye that can then be grazed or baled in the spring if feed is needed, or can be burned off and plowed under as a cover crop. They keep extensive records on feed location and usage, so they aren’t caught short in a droughty spring, like this year, that hits their first cut hay and pasture volume. 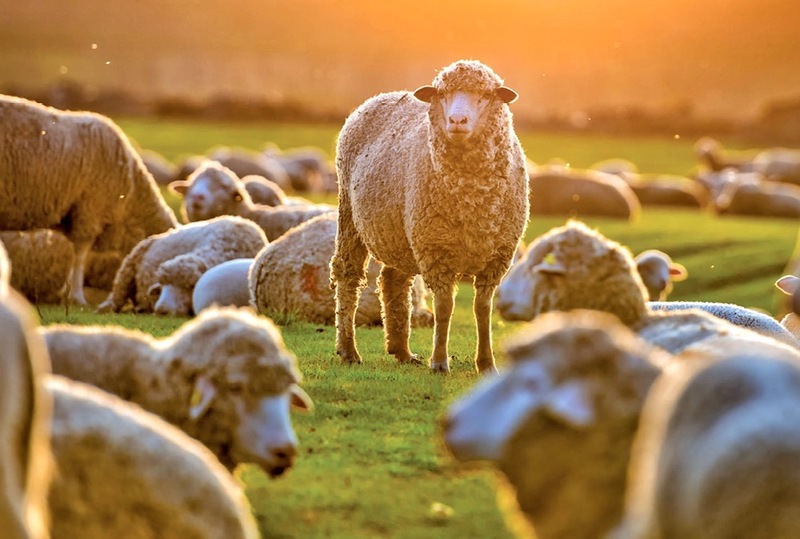 Predation is also an issue, especially a one-time devastating hit from dogs, not coyotes, that wiped out 108 sheep three weeks before lambing. That was in May 2006, but you can tell that it is still a raw memory. “When something happens like this on your farm it is time zero. Things deteriorate quickly,” said Stutzki. The situation has to be managed. Tough questions have to be asked. But the family decided to carry on and their community came through for them with a benefit event. 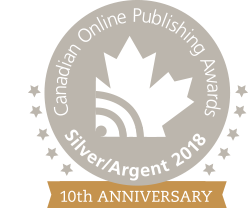 In a sector where efficiency is paramount, increasing regulations, such as restrictions on antimicrobial use coming into effect Dec. 1, make it tougher. The sector has to figure out how to do more with less, he said. That can mean investments in technology. They use a WIFI-connected dose gun for treatment that connects with a scale to create an exact dose for each sheep, while recording information. “As an industry we spend too much time with the passenger and don’t put enough emphasis on feeding the engine,” he said.